replaced the streetcars in 1933. 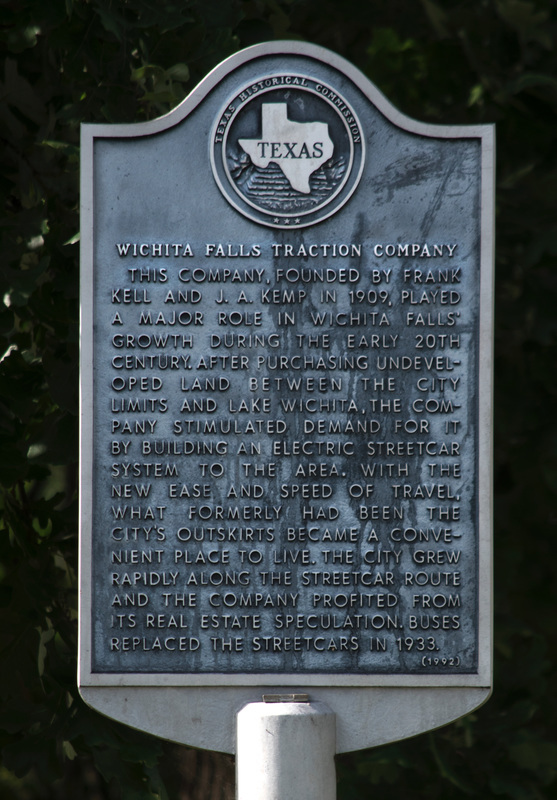 The marker is located on the corner of Harrison and Collins Avenue, Wichita Falls, Texas 76301. GPS coordinates: 33-degrees 53' 48.7" -98-degrees 30' 41.9". 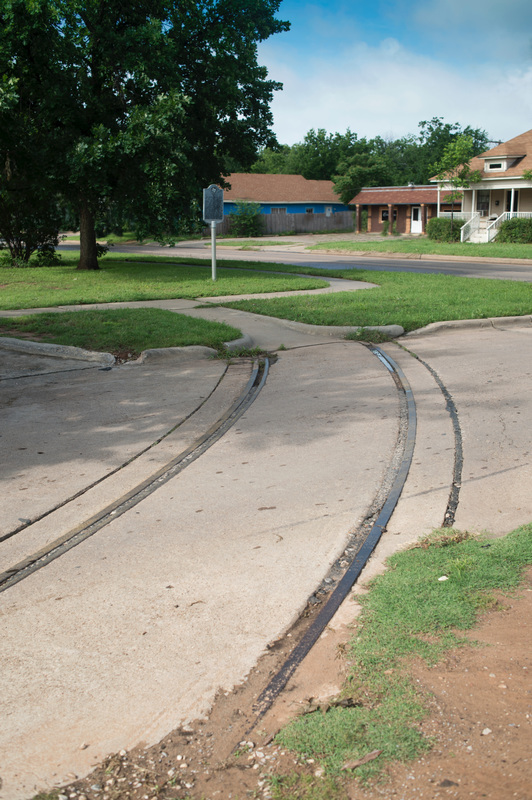 Part of the tracks lead up to the marker.